Your next Guru could be a usability practitioner. It was only a few years ago that the term “usability” was widely categorised as a misspelling or another lunatic fringe concept being pushed by idiosyncratic web designers. But a change is in the air and usability is increasingly becoming “the secret weapon” for many web and software projects in this country. Some big players in the New Zealand technology space take it very seriously indeed – Telecom employ an in-house usability team, Fonterra project managers freely use “milk” and “usability” in the same sentence, and it’s also a key ingredient behind the mix that has made Woolworths Online a rare ongoing success. Web analysts, modern librarians and web designers are talking excitedly over their lattes- they’re ‘in the know’- throwing around buzzwords such as “heuristics”, “UI”, “taxonomies” and “psycholinguistic”. But ask any three what “usability” means to them and you’re likely to get five different answers. Never-the-less “usability gurus” have been popping up like mushrooms in resumes, training institutions and IT conferences- and it’s just a matter of time before there’s one convincing you to allocate 10% of your precious IT budget to usability. A few Wellington IT companies have been doing it for years – but strangely don’t widely advertise the fact. 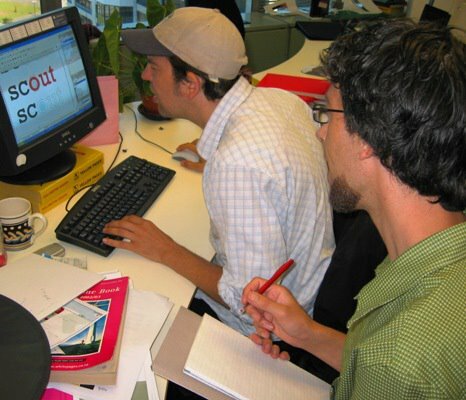 These include Wellington IT companies Bearing Point, Shift and Synergy International– who all employ full time usability experts of one sort of another, including user-centred designers and information architects. BaseTwo, Motive and Intergen are more forthcoming- all declaring their usability arsenal via their websites. 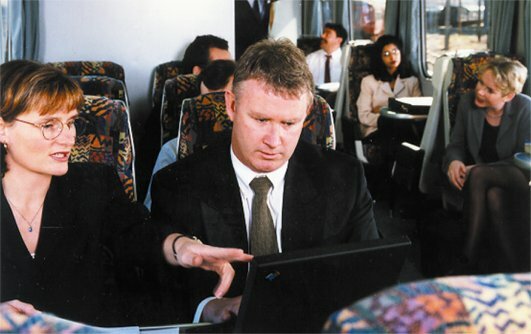 Start-ups are also getting in on the act- one of the first being Optimal Usability – brimming with enthusiasm at the expectation of a Kiwi usability boom time. The company evolved from conversations between a software engineer and an industrial designer. Their dissatisfaction with the usability of the web drove them to action. Mention the word “usability” and IT professionals will come running. A recent Wellington seminar hosted by the NZ Computer Society on usability for e-commerce websites was packed to the brim – despite a distinct absence of e-commerce websites even based in Wellington. Australia discovered usability several years ago and is now pretty much mainstream practice. Meanwhile, in the US, usability gurus are the pop-stars of Information Technology- both loved and hated by many- and embarrassingly expensive. Top dog Jacob Nielsen commands upward of US$25,000 per day, while the more humble ask US$10,000. In New Zealand the going rate is more like US$600 per day. Actually, usability is just a small (but important) part of a greater good known as creating the “user experience”. The user experience is a varied beast and should probably be regarded as a mix of science and religion that yourself, fellow workers (and importantly, your clients), all need to comprehend and follow if it’s going to succeed for your projects. A good starting point is this book – The Elements of the User Experience\’ by Jesse James Garrett (New Riders, 2003)- it’s full of insights and gems for those starting on the usability trail and can be read in just a few hours. The secret is for user experience and usability to become second nature in your organisation. You’ll know that your organisation is on the way to usability nirvana when your project team insists on meeting real-live users before the ink on the contract is even dry. The crux is, for New Zealand web and software products to shout and sing on the world stage – we all need to become “Usability Disciples”.